Andy Rubin, creator of Android, is again here. According to Bloomberg, some sources have revealed that the engineer, creator of the world's most popular operating system, and after leaving Google in 2014, is ready to launch his next project for the general public. It is a company called Essential, which will compete in the smartphone and smart home market. Among the products they will offer, they announce a high-end smartphone aimed at competing with the iPhone and Google Pixel, the latest handset launched by former colleagues. By the time we write these words, it is believed that the society is made up of about 40 people, including many ex-contributors from the big industry, essentially from Apple and Google. According to data provided by Bloomberg sources, Essential is working on a range of devices and products designed for the home automation and smart home market. 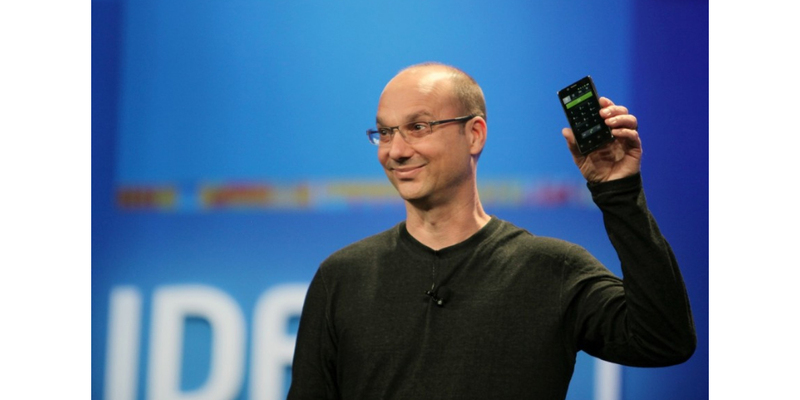 Andy Rubin, in this case, would have spoken, at CES this year, with the leading operators of telephony on a smartphone especially innovative. The device would not only have high end specs (like the Snapdragon 835 processor), but also a screen without edges and would be made with ceramic. The screen can be sensitive to different pressure levels, and the connector designed to charge will also have the ability to expand or modify its design with upgrades or modules that will arrive in the future, such as a spherical camera to record 360-degree videos, which already would be in manufacturing. It is not yet clear if the operating system on board this smartphone will be Android, a derivation or something completely new and different, but hopefully in any case, it is within the algorithms and routines typical of the current artificial intelligence. Not only because it is the latest trend within smart devices, but mainly because of the training and career of Rubin, which is based precisely in this area. All these elements suggest the entry of Essential in the high-end segment of the market. Rubin's footprint will probably be felt through the artificial intelligence used in this new smartphone. The former Google executive had already publicly stated that the future of the platform would focus on data and people who teach to learn artificial intelligence systems. And artificial intelligence will be the link between all of Essential's products, according to Bloomberg. Rubin would intend to sell his devices at a price similar to that required by Apple and Google for their flagship smartphones.